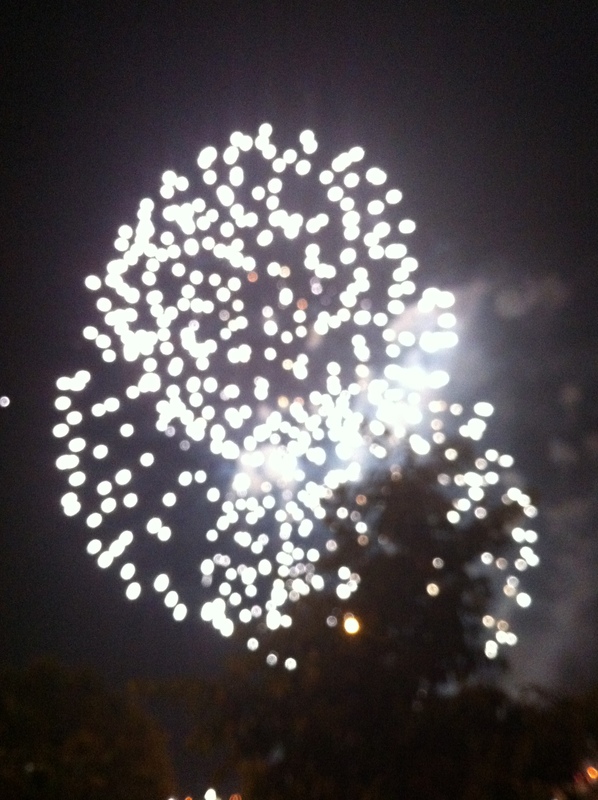 Ahh, the Fourth of July… For some reason I always put it up there with Christmas as one of my favorite holidays. The fact that Independence Day falls in the summer probably has a great deal to do with my favoritism. My deceased grandfather’s birthday is also on July 4th, so it’s always been a special day for my family. Since the holiday is coming up this week, I thought it appropriate to share a festive treat and outfit. Continue reading for some summery inspiration! The dessert table is my weakness. 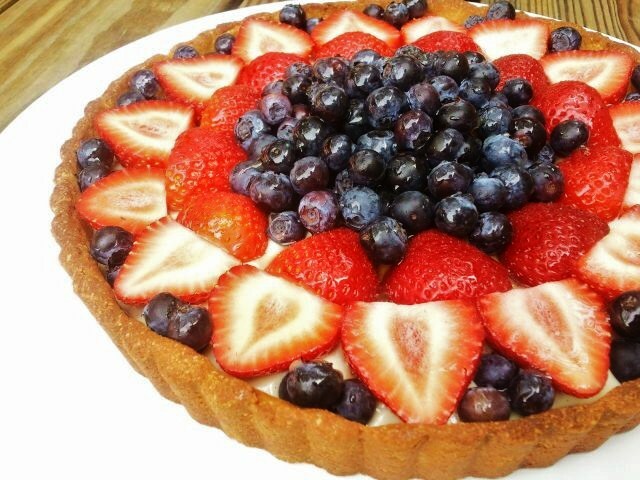 This Gluten Free Fruit Tart from Gluten Free Fix sounds like just the thing to satisfy my sweet tooth. It’s definitely a healthier option too. I’m not one to get super dressed up for the Fourth, but I never turn down an opportunity to style a look. The outfit above is loosely based on what I’ll be wearing this Thursday. Two words to describe my look are: comfy and cool. P.S. How cute and totally American are those striped paper straws? I’m imagining them sticking out of a vintage glass Coke bottle… Burger in one hand, Coke in the other? I think yes, even though I’m not a soda drinker.